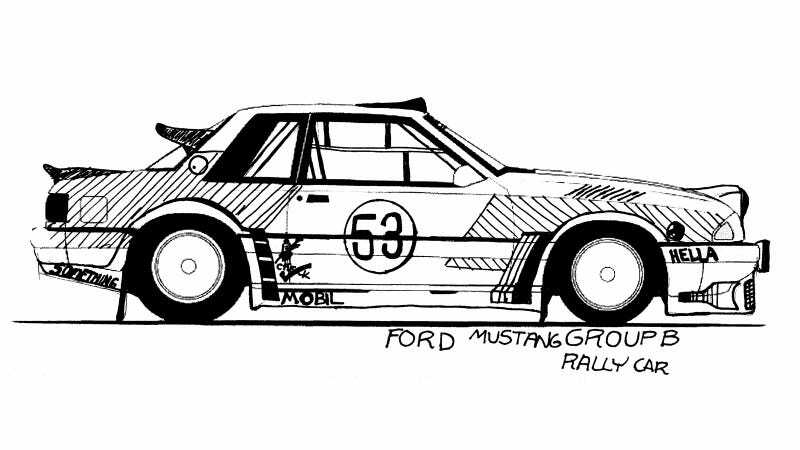 What if Ford had campaigned a Mustang in rally's unrestricted 1980s Group B golden years? One Jalopnik reader came up with this rendering and man do we like it. The illustration comes from Frank Grimes, who imagined this completely awesome Fox Body notchback. We remember Group B mostly for its four-wheel-drive cars and its hatchbacks, but there were a few front-engine/rear-drive coupes from the era, most notably the Toyota Celica, the Nissan 240RS, and even the first-gen Mazda RX-7. Hell, maybe someone actually did campaign a Group B Mustang at an American race. Frank is actually thinking of building a rally-prepped Mustang. If you have any advice for his build, or if there are any Mustang rally cars you know of, post what you have in Kinja below.